Booking.com Customer Rating: 9/10 (Superb). Your Base Dublin Grand Canal Square are modern and spacious apartments with contemporary décor, a tiled bathroom and a dining area. The well-equipped kitchen is modern and stylish, and there is a comfortable lounge with a flat-screen TV. Free WiFi is provided and there is a lift to all levels. There is private car parking available on site (fee payable and should be reserved). These apartments have one of the highest customer ratings for Dublin. Rooms at Your Base Dublin Grand Canal Square. Children’s cots/cribs available for children under 2 and extra beds for older children (paid for separately during your stay). 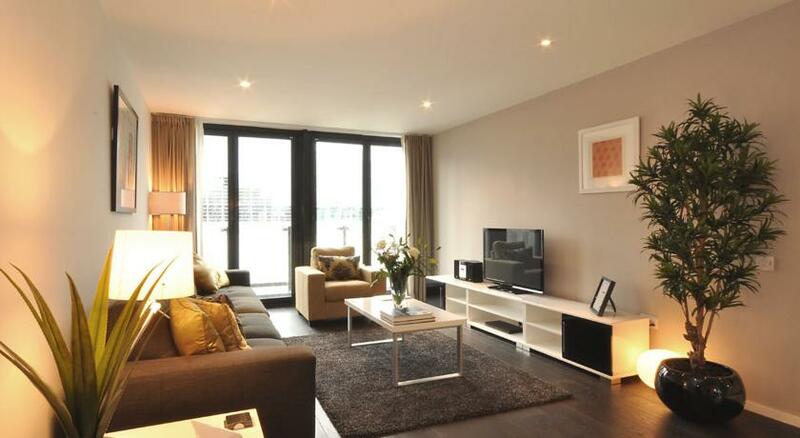 These apartments are located near Grand Canal Quay and Sir John Rogersons Quay. Approximately 5 minutes walk across The Liffey is The Jeanie Johnston Famine Ship, The AIB Trade Centre and the 3 Arena (formerly The O2) is approximately 10 minutes away.